Placemaking builds stronger, livelier, more livable communities - but that’s just part of the story. Numerous medical leaders have also shown that Placemaking can play a huge role in promoting better health for all Americans. It was big news last month when a group of retired U.S. generals published a report highlighting a little-known threat to national security: our kids are not healthy enough to fight. Even in Minnesota, where people pride themselves on being hardy, two-thirds of young people are too obese or unhealthy to meet the military’s fitness requirements, the report states. According to a delegation of public health experts meeting with Minnesota citizens during the 4th annual Placemaking residency, little exercise and poor diets pose a serious problem not only on foreign battlefields, but also here at home for people of all ages. The event, which sparked discussion of looming health issues across the Twin Cities, was sponsored by the St. Paul Riverfront Corporation in partnership with more than 50 local organizations. “We are facing in the 21st Century a situation comparable to December 7, 1941--and we must work with the same single-minded purpose,” explained Dr. Richard Jackson, chair of UCLA’s Environmental Health Sciences Department and former Environmental Health Director at the US Centers for Disease Control (CDC). “Is your zip code more important than your genetic code [for determining health]?" asked Dr. Anthony Iton, former Alameda County [California] Health Commissioner and now Vice President for Healthy Communities of the California Endowment during a Placemaking symposium at Metropolitan State University. He noted that in Alameda County (which includes inner city Oakland as well as wealthy enclaves), “we have areas where people live shorter lives, substantially shorter, 20 years shorter than in other areas.” Even in the Twin Cities, he reported, there is an 8-year life expectancy gap between richer and poorer neighborhoods. 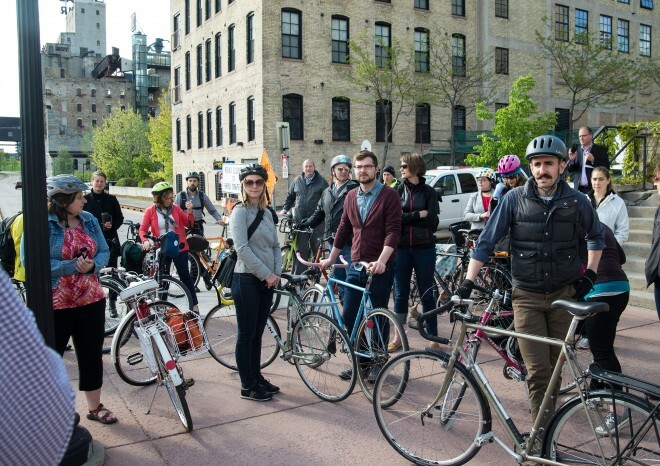 The Placemaking Residency hit the streets across Minneapolis, St. Paul, and suburbs, engaging people to brainstorm innovations in their own backyards. 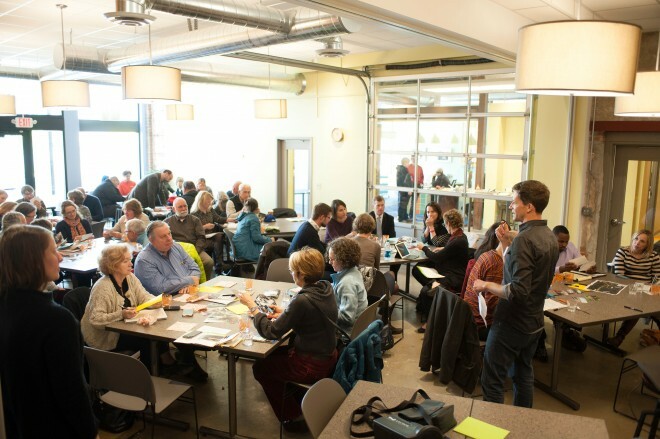 Gehl Studio led a workshop to imagine how the South Loop--an emerging development clustered around three light rail stops near the Mall of America in suburban Bloomington--could grow into a thriving city center. Acknowledging that the area was different than urban neighborhoods, Gehl Studio’s Team Leader Blaine Merker noted that despite different cultures and physical surroundings, “the way people inhabit and use space is universal…we are not all that different.” His colleague Anna Muessig added, “People walk anywhere it’s interesting.” The audience envisioned the South Loop as a pedestrian-friendly zone full of architectural details to delight people’s imaginations, and as a place that takes full advantage of the adjacent wild, green space of the Minnesota Valley National Wildlife Refuge. 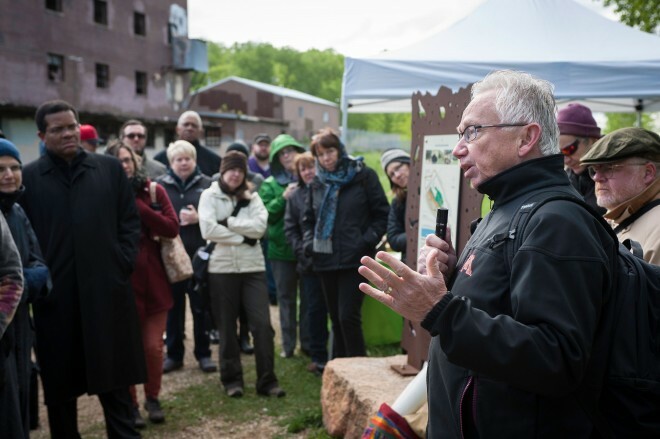 There’s nothing new about linking public health and urban planning, explains Patrick Seeb, who was a nurse before he became the head of the St. Paul Riverfront Corporation. “A century ago they were the same thing, as city planners built sewer lines and parks to eliminate the diseases that made cities so unhealthy at the time,” he says. He points to a shining local example, Dr. Justus Ohage, who was both a surgeon and Commissioner of Health in St. Paul in the early 1900s. Concerned about the state of hygiene in the Twin Cities, Ohage mortgaged his home to purchase Harriet Island, where he built public baths and swimming beaches, which he donated to the city to become a park where people could enjoy fresh air and clean water. “Our issues are different today but one thing remains the same: how we build cities that make a difference for people’s health,” notes Seeb. Jay Walljasper is a fellow at PPS and writes, speaks, and consults nationally about how to create healthier, happier communities.